A couple days ago I blogged about the cold weather and comfort food. Yesterday I made a quick trip home for two days and California greeted me with sweet, sweet sunshine! 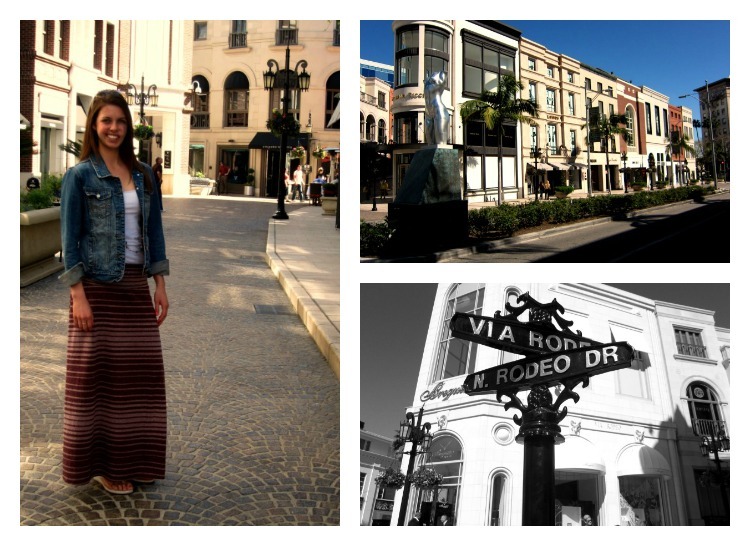 After some crazy LA traffic, my parents and I spent the whole day in Beverly Hills. We were meeting with two specialists in facial reconstruction to get some second opinions on the next phase of my surgeries. (In July and December, I began the process of removing my venous malformation.) The cosmetic portion is left, and there is so much great technology out there that just wasn’t available a few years ago. On one hand, it’s a little scary and stressful to think about making decisions now that will affect what I look like forever. And it’s crazy to think about having a handful of “plastic surgery” procedures done before I’m 21… (In Beverly Hills, I should fit right in, right?) On the other hand, I’ve been waiting for these opportunities my whole life and am eager to finally get some results. There is no perfect timing though, and the hardest part is working around my track and cross country schedule to miss as little as possible! On a more pleasant note, in the middle of appointments we had three hours to kill. First stop: lunch! 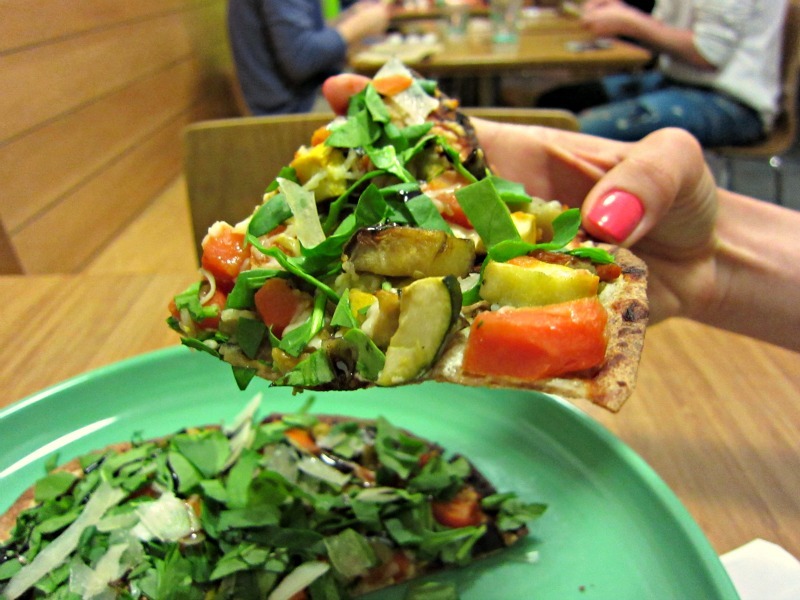 We picked a cute little salad and sandwich shop, Green Leaf Gourmet Chop Shop. After our lunch we walked around soaking up the sun, coming across some cute little spots and restaurants. After running every day for over three weeks straight, I decided today would be a good day to take off completely for a “rest” day. But I definitely didn’t mind walking around Beverly Hills and Rodeo Dr. My parents and I were comparing LA to New York, and while none of us are particularly city-living people, we all agreed that we would prefer to live in New York between the two. It’s more fast-paced and full of life! Tiffany’s, Gucci, Hermes, YSL – a girl can dream! Such a gorgeous day. The crazy thing? I looked for a Starbuck’s for blocks. I was ready to treat us all to some Iced Americano’s and was completely dumb-founded that there wasn’t a Starbuck’s on every corner we passed. There are literally THREE on one of the streets next to my house, all across from one another. And yet I couldn’t find one yesterday as we walked around. Madness! After meeting with the second doctor and learning about different options for “nerve re-animation” and facial reconstruction, we had plenty to think about on the drive home. I know there’s no perfect scenario where I can have both the surgery and a full cross country season this summer. Thankfully running always clears my mind! Lacing up the shoes in a bit and taking advantage of the park by my house for an especially-warm run before heading back to school. Posted on March 1, 2013, in Blogging, Healthy Habits, Real Life Stuff and tagged beverly hills, california, los angeles. Bookmark the permalink. 4 Comments. I’m sorry that you have to make such big decisions at a young age, but I’m glad that you’ve got an awesome family to support you through it. Totally surprised me about the Starbucks!